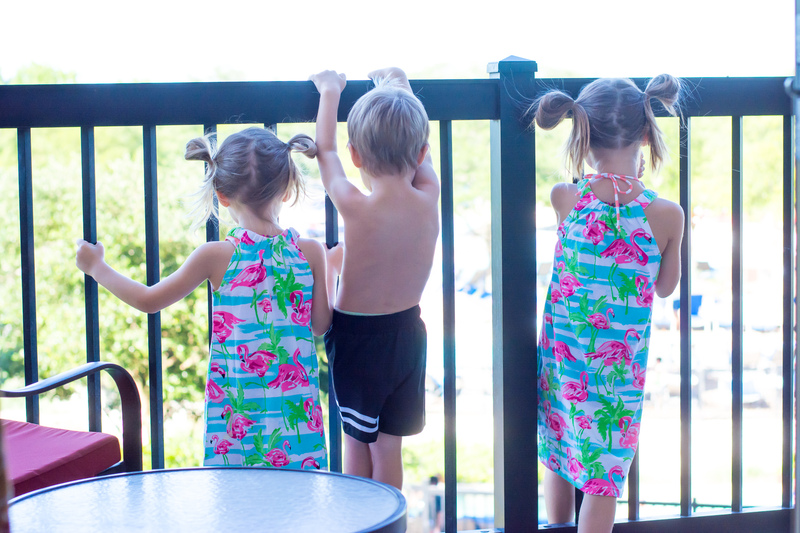 I can’t stop gushing over our first vacation ever as a family of 6 at the JW Marriott San Antonio Resort and Spa! 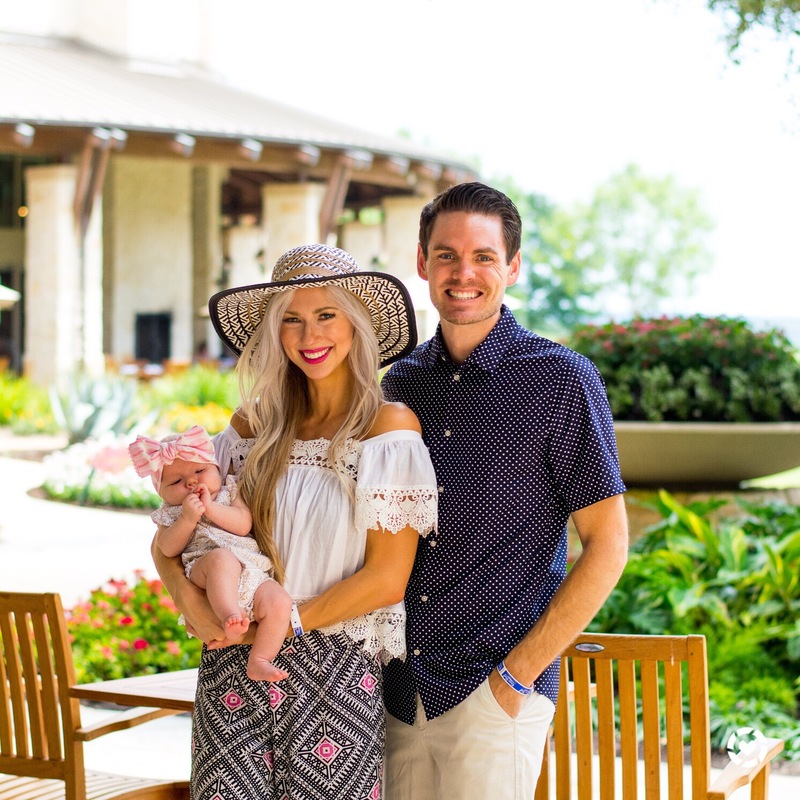 Avery is almost 3 months old and our day to day routine with a baby felt stable enough for a family getaway right here in Texas. San Antonio is a 5 hour drive from us in Dallas and the kids did fantastic in the car ride down! Aaron and I kept looking at each other during the trip while enthusiastically saying , “This is SO easy!” –A big fat shout-out to packaged snacks and our girl Moana who entertained the kids. I chose to pack the car and corral the kids in the early afternoon for the trip, which always seems like a great time to leave for a long car ride. They’ve had enough time in the morning to get out their wiggles (are the wiggles ever really out, though? :-)) and they’re ready to snack on lunch in the car and fall asleep. NO joke, I showered and packed for all 4 kids and myself, plus loaded up the car with our luggage and coolers in 3 hours. Haha, I can be a bit ADD and won’t get anything done until the last minute. We drove to downtown Dallas and picked Aaron up from school. On the way down we made 1 stop to have the kids use the restroom and for baby Avery to nurse. The drive up to the resort was too gorgeous that even my 5 year old squealed from the backseat, “That’s our hotel? 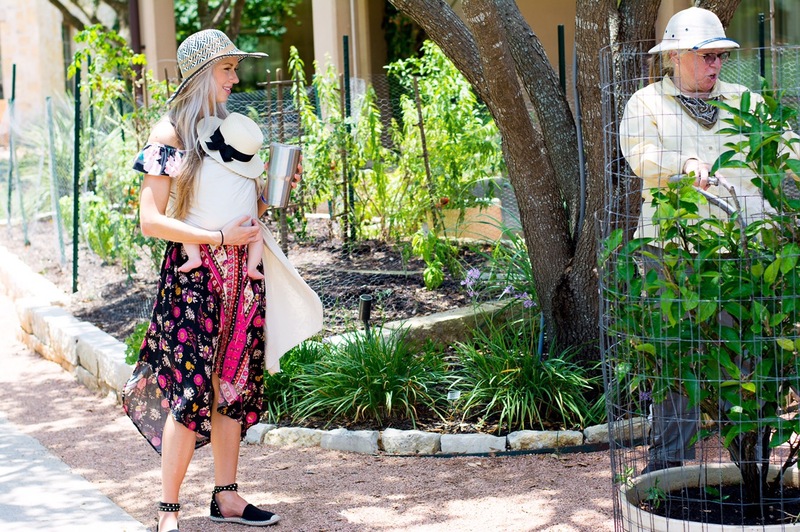 !” I’ve always loved the Texas hill country and this area shows it off so beautifully. The valet parking and luggage assistance service was as classy as it gets. And boy did we have TONS of luggage. Vacationing with a baby is seriously like moving. Best item by far from excessive packing: baby girl’s swing. Tip: when traveling by car, bring a swing to guarantee your baby sleeps in case they get fussy or get sick (which ours totally did). Excessive? Yes. Worth it? Abso-freakin-lutely. Checking in went smoothly while the other guests giggled at our 3 kids chasing each other in circles while letting out loud belly-laughs. It officially felt like a vacation! Our spacious room (plenty of space for the swing 🙂 ) was on the lower level with a beautiful view of the pool. I highly recommend this location especially if you have kids and need quick trips back and forth from the water activities. We loved having the patio, especially in the evenings after the kids fell asleep. We’d slip into lounge chairs and watch the glowing fountains and pools while spending some much-needed us time chatting until midnight. 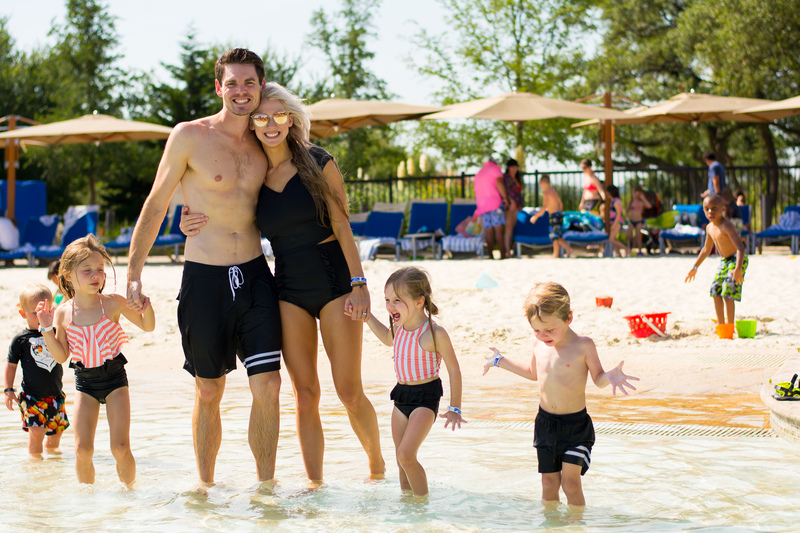 The highlight of the vacation was the 9-acre waterpark that included two jaw-dropping body slides, a thrilling rapid river ride and a loooooong lazy river. You can imagine what my favorite part was! 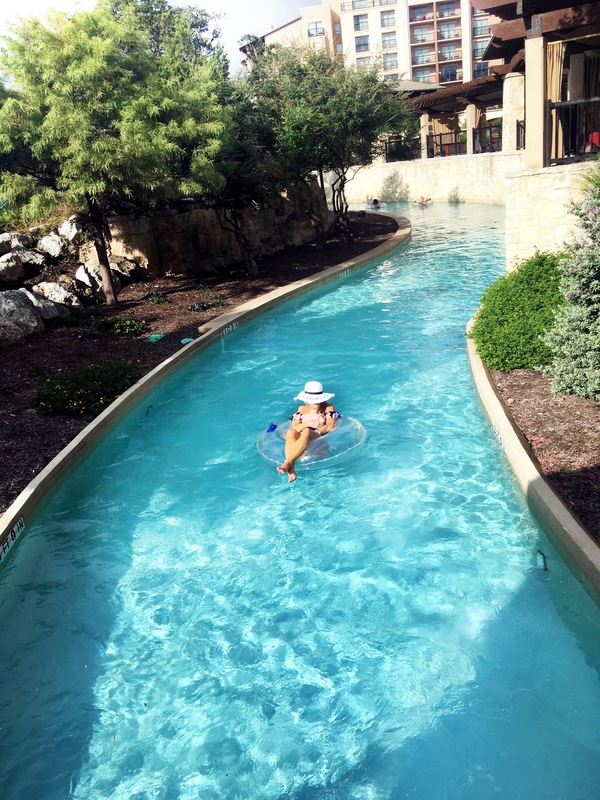 I loved tubing down the lazy river! But riding a double tube with my girl Savannah down the rapid river ride was my favorite moment with her. We screamed together down the entire ride! It was way too fun. 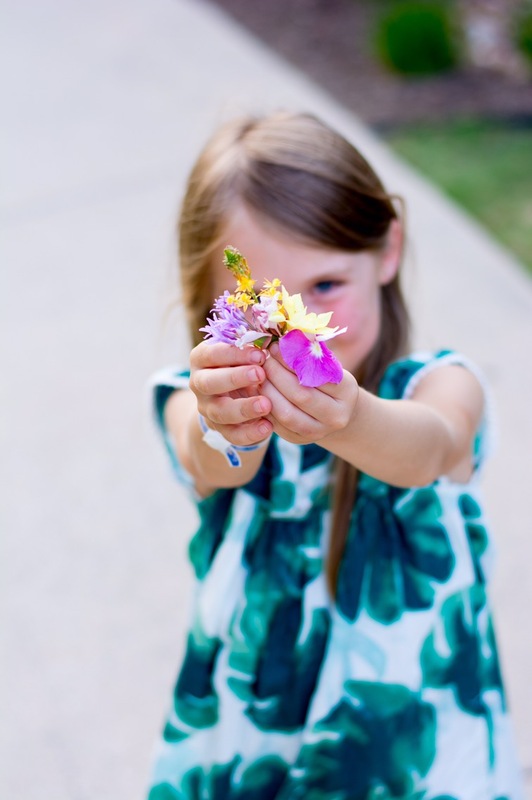 I’m holding on to those moments with her where I let myself be less ‘mom’ and more friend. 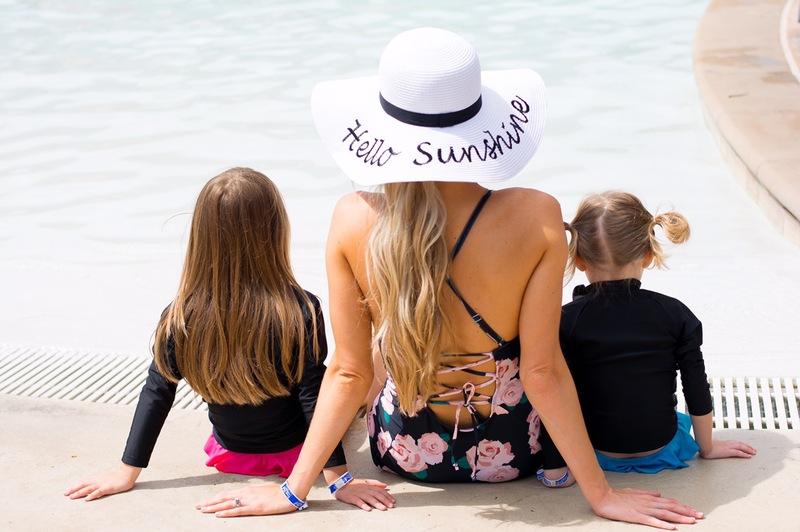 I had baby Avery lounging on me under the umbrella for the majority of the time while I watched my hubby splashing in the water with our babes. Well, he was mostly tossing them into the water while they screamed their little booties off. Aren’t dads total rockstars?! There was also a sand area that invited Charlotte and Ethan to set up camp for hours! Charlotte is the ultimate sand queen. I’m glad the hotel is on top of things and provided sand toys for Charlotte to play with. Ha! The good news is that all outdoor water features are heated during cool weather months so this resort is literally perfect all year round! Darling swimsuits by The Pink Desert. You can create the cutest combos! I loved pairing the flamingos with a peachy ruffle. And as always, the black floral with stripes is always a winner. 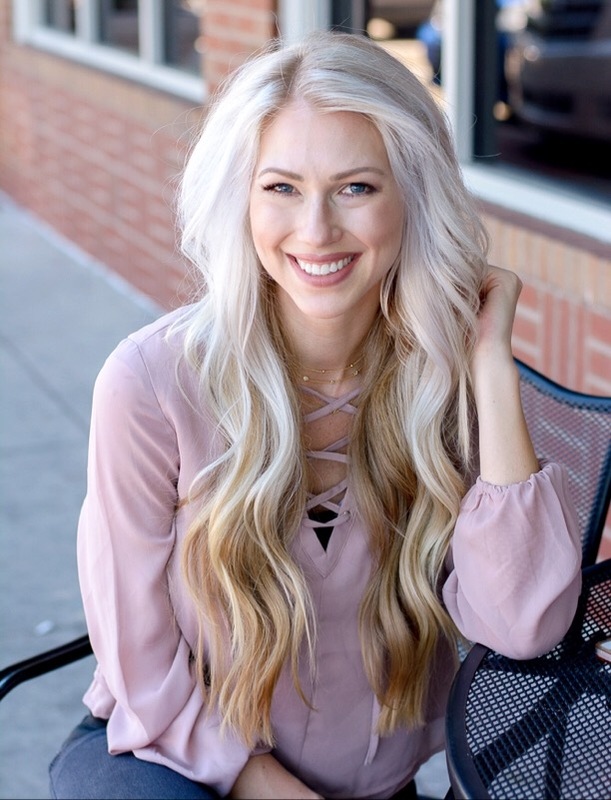 I’ve seriously never had a swimsuit that fits so well while having the best coverage from top to bottom! The tops also made nursing Avery easy peasy. And since I LOVE them so much, I’m giving away a swimsuit to TWO lucky ladies! Run to my Instagram page tomorrow (June 24) for an easy entry in the giveaway. 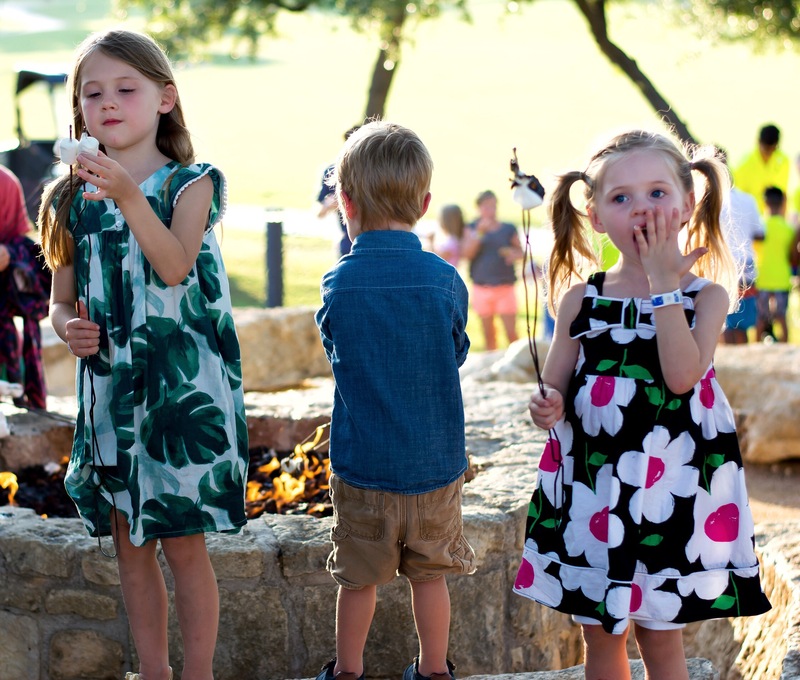 Let’s take a moment to enjoy Charlotte on the far left who realized the amount of time required to shake the rock salt, milk, and vanilla into ice cream. Hunny, that’s how I feel after realizing how hard I need to work out to keep up with my huge appetite. Out of all the kids, she’s the one who has my terrible sweet tooth. It’s a constant battle to fill her up with healthy veggies and food! The kids had fun popping in and out of the activites around the resort. Obviously the homemade ice cream with oreos + m&ms mixed in was my favorite activity. We visited the hotel’s organic culinary garden where they have a master gardener who gave us a tour of the organic vegetables and fruits which happen to all be used in the resort’s restaurants! We loved relaxing by the gorgeous towering outdoor fireplaces on the porch area in their beautiful “Backyard”. The kids had a blast running wild while we enjoyed the views that overlooked the rolling Texas hills and golf course. 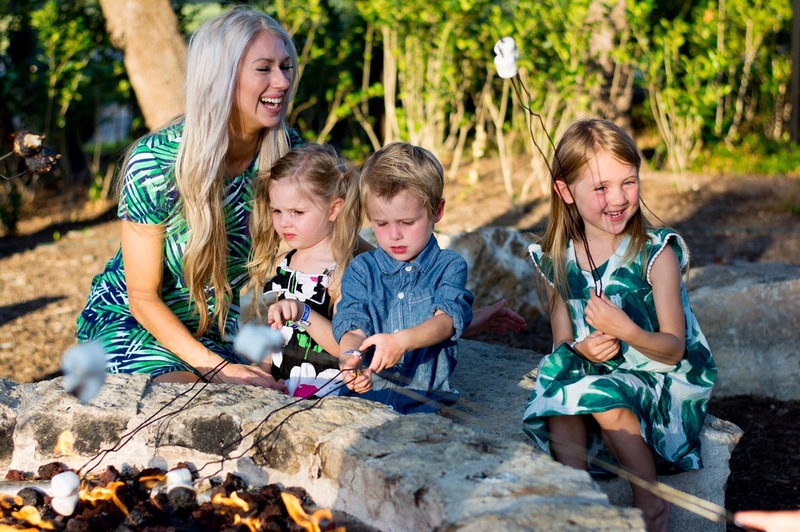 We had a surprise yummy room service and the kids looooooved roasting marshmallows late in the evening after dinner. 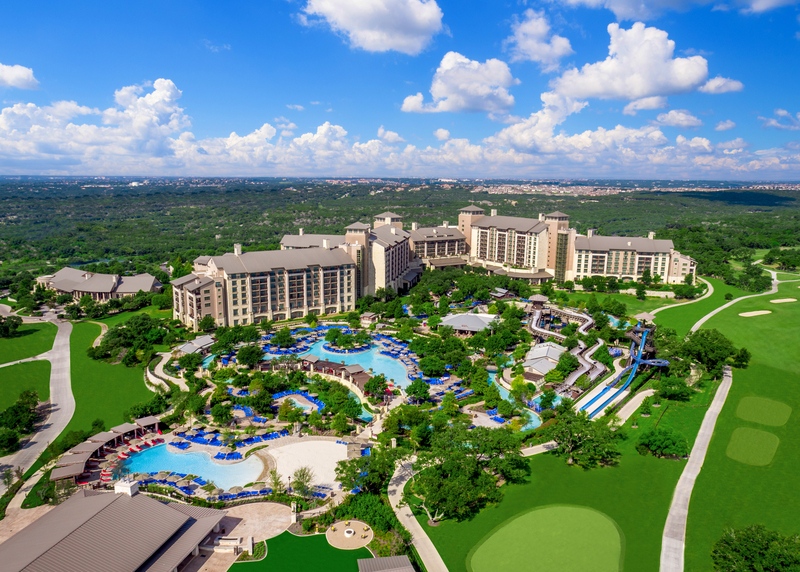 I really can’t say enough praises about the JW Marriott San Antonio Hill Country Resort & Spa! It was the perfect getaway for us as a family. The service, food, and amenities were undeniably 5 stars! 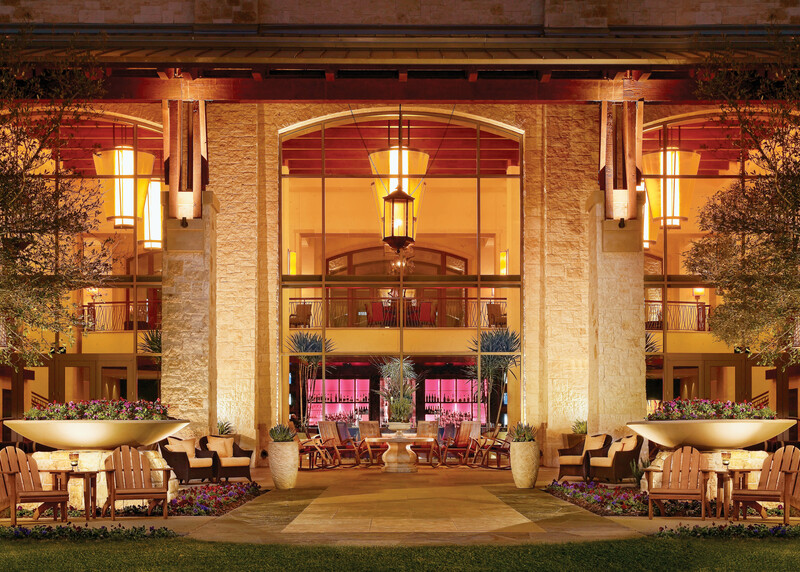 Have you been to a JW Marriott before? How about this very property in San Antonio? 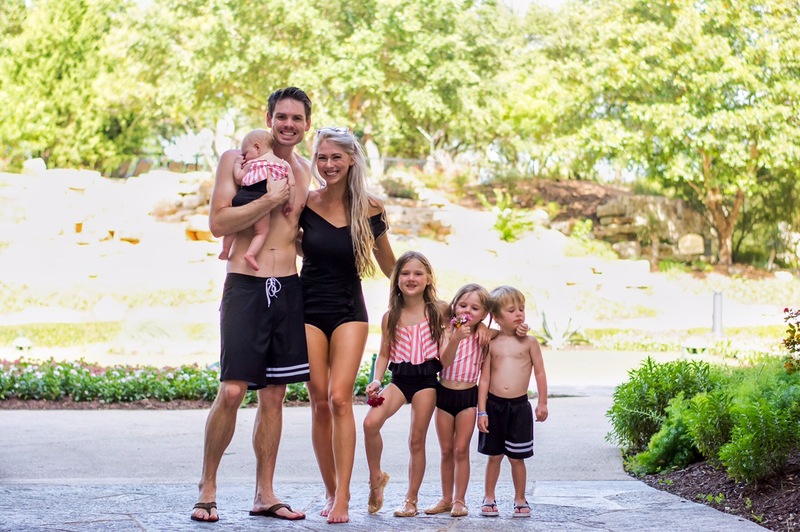 This was a fantastic vacation filled with memorable experiences for our first trip as a family of six! We all can’t wait to return! 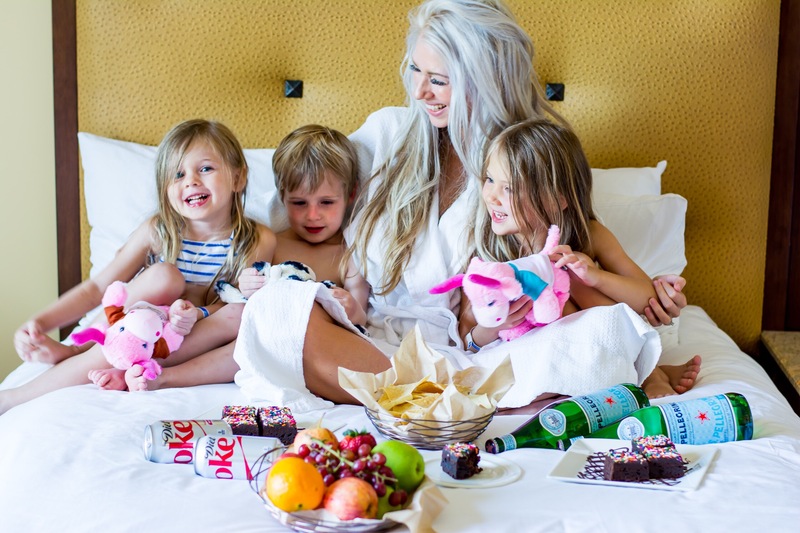 Thank you JW Marriott San Antonio Texas Hill Country Resort & Spa for our stay and for you in supporting the brands that work with Hello Ivory Rose. Previous Post Summer, How We’ve Missed You. Jake stays with JW for work, we’ve never been to this one. 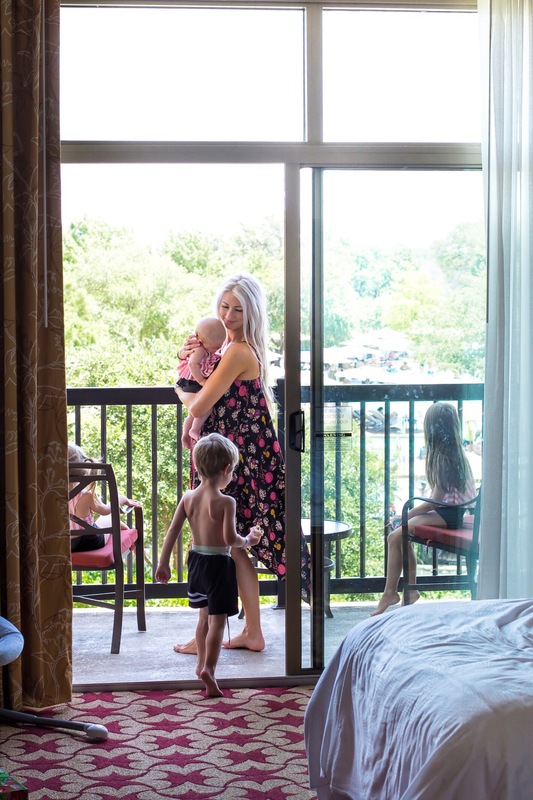 We recently did a couple night away to the JW in DT Houston 💗 Great pics and post! Hey Vanessa! I’m so sorry that you’re having a rough time! 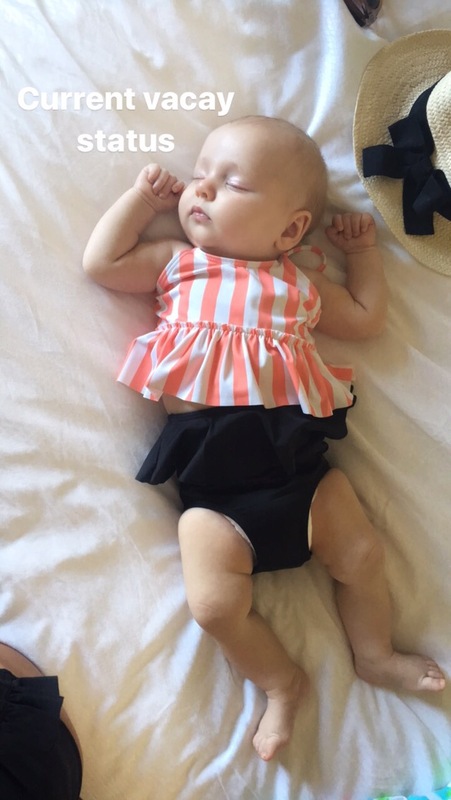 A newborn baby will wear any mom out, it’s hard and can be exhausting! I don’t have any help besides my husbands help in the evenings to put the kids to bed. I’ve found a lot of happiness in being with friends who are in a similar stage of life! Every mom struggles with loneliness, self worth, anxiety, depression, etc.. It’s so nice to remember that you’re not alone! A lot of my relief has come when i’ve found other mothers and have been kind and a genuine friend. I also exercise to help me stay healthy and sane. Hang in there mama!